Here is a bill that sounds good, making for open and transparent budgeting and spending, but the devil is in the details. This bill is the first leg of a constitutional amendment that requires the General Assembly to wait 48 hours from the introduction of the budget appropriation bill, bond and capital improvement act, and act making appropriations for certain grants-in-aid bill, or any substantive amendment or substitute bill to such bills before voting on such legislation unless the General Assembly by a three-fourths vote waives this requirement. Here is the thing though. 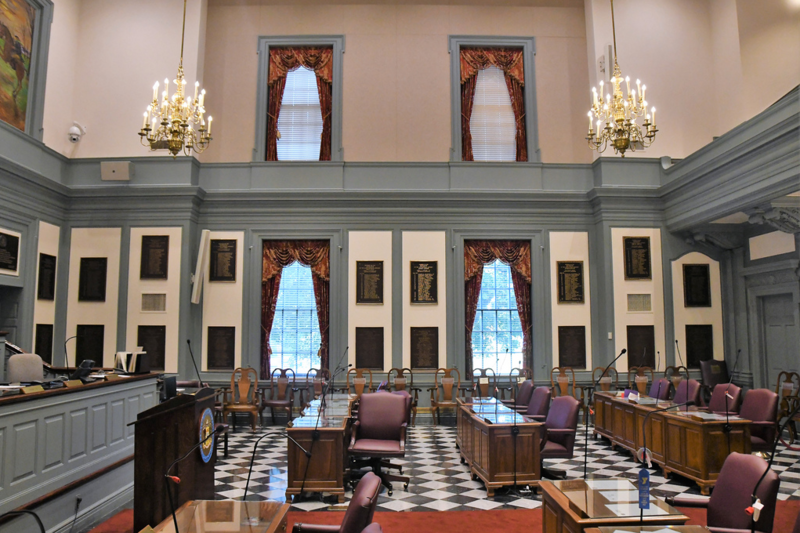 Placeholders for budgetary bills with a draft early version of a budget are introduced early in the session, and 48 hours does pass before they are voted on. The problem is negotiation and compromise and horse trading concerning the budget and spending priorities take place right up until the last day of the session. I think the intent of this bill is provide 48 hours between the final amendment being added to the bill and a vote. Well, LOL. Good luck with that.